Delivered as ordered and on schedule. Very polite professional staff who were extremely helpful. Order was delivered from England to France in three days. Thank you very much. Perfect replacement for my Varta 130Ah boat battery which was at least 6 years old. No problems, and hopefully will last as long if not more. Just installed a bank of three of these on my yacht replacing previous Varta model which had lasted an amazing 9 years (compared to inferior Bosch battery which lasted 5 years prior to the first Varta installation). 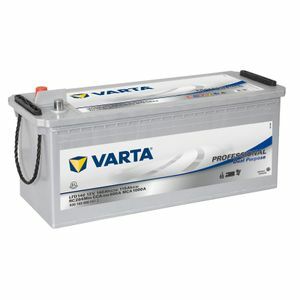 These new Varta batteries are lighter weight than the previous version and time will tell whether they are as durable. Fingers crossed. Existing semi-traction leisure batteries failed on barge in France. Unable to buy direct replacement or known brand in SW France. Could buy 2 Varta replacements from Tayna, including expensive shipping, for less than local brand. Delivery took 8 days in total, tracking after swift Paris transfer not available, although we were phoned to arrange end delivery Restricted by battery location, so had to be exact same dimensions, also maintenance free as left for months unattended - powered by solar panels. Batteries worked fine from the start, no issues. Main load on batteries only 5A fridge. Be interested to see how they fare after a few years original batteries had heavier lead plates. Installed 3xLFD140 on my sailboat 12-10-17, early days, but so far so good, doing exactly what they should! We have had a poor performance on our Varta batteries with the last set (we use a set of 3 as domestic supply on our boat) lasting less than 2 years. The boat came with Swedish batteries which lasted more than 5 years. Highly competitive price and next day delivery!! Batteries x3 delivered promptly and well packaged. All seems perfect (aboard yacht) but you cannot really judge batteries till you've been using them for a few years! Next day delivery and very well packed and protected, the batteries were exactly as described and I certainly would recommend Tayna to other yachts people. Very quick delivery, fitted perfect in a hunter channel 323. Have just fitted one of these in my Bailey Unicorn III Cartagena, makes the world of difference, very pleased with the battery. May add another one next year .